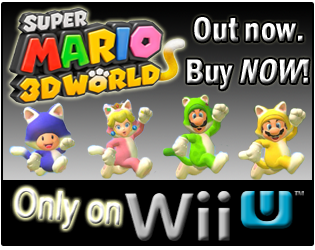 Wii Music was developed and published by Nintendo, and released on October 20, 2008, with an MSRP of $49.99. Wii Music was rated "E" for "Everyone" by the ESRB, and it has no "content" listed for parents to be aware of. The game features sixty-six playable instruments, ranging from instruments like the violin and maracas, to a cowbell. The game-play hours for this report were recorded from October 20, 2008 through December 27, 2010; a total of 799 days. How many game-play hours have Wii owners reported playing Wii Music since its release more than 2 years ago? Let's take a look! Wii Music has 316,551 Wii owners reporting their game-play hours through the Wii's Nintendo Channel. Wii Music has seen an increase of about 2,755 Wii owners reporting play-time data, since I recorded the game-play hours last week on December 20. Wii Music has 3,704,331 Total Hours of game-play reported, an increase of 39,753 Total Hours since last week. 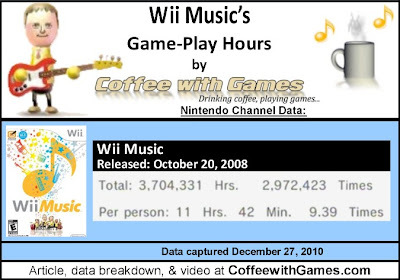 The average play-time for Wii Music is 13 Hours 48 Minutes "Per person" reporting data, and the average play-time per session for Wii Music is just over 1 Hour 14 Minutes. 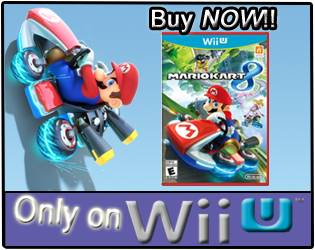 Wii Music's Amazon.com sale rank is #980, and it is currently selling for $40.99. Sale rank and advertised price recorded on December 31, 2010 around 2:30AM. Wii Music's review score average is 64.07%, based on 37 "professional" reviews on GameRankings.com. Review score averages recorded on December 31, 2010 around 2:30AM. I haven't played Wii Music, and I don't really plan on it. I have a friend, that played Wii Music at his parents' house, and I remember him saying he did enjoy playing it, though it was only for a few hours. Considering that Wii Music has been out for more than 2 years now, I think it's interesting how low the reported average play-time "Per person" is, especially when compared to other music games like The Beatles: Rock Band or Guitar Hero 5(20 Hours 4 Minutes, and 18 Hours 48 Minutes respectively). Perhaps it's because Wii Music is a different type of music game, and as some have said, it's a music game that takes a more realistic approach to music as a game. Seeing Wii Music's Amazon.com sale rank was surprising, as I really thought the game would be ranked at least in the "Top 500", just because of it's one of the "Wii" games. The review scores seem pretty mixed on Wii Music overall. Some people seem to really love it, and others seem to really hate it. Have any of you played Wii Music? If so, what do you think about the game? Do you think some reviewers were being overly critical of Wii Music, because they were expecting something like Guitar Hero or Rock Band, or do you agree and think the game deserves a 60-70% overall review score? I'm back from my stay at the hospital, and I finished my Best of 2010 Awards show. I really liked Wii Music. It was fun to mess around with the musical instruments and create variations of the various tunes. I've read through your "Best of" lists and saw the poll for December as well. Glad you're out of the hospital and hope you stay well! In Wii Music, did you ever upload any music videos and share them with others? I played a Wii Music demo at PAX the year it came out, and I was really exited to purchase it and play it with my kids. After bringing it home and playing it for awhile it just never caught on with me, and even my young daughter became bored with it after a few play sessions. I traded it in soon after and never regretted it. Now my 6 year old daughter and I are playing through Kirbys Epic Yarn together and having a great time. I really recommend that game for anyone who wants to play co-op with their younger children. From the average hours "Per person", I sort of expected this was a game most were playing initially after they received it, but not much after. Being that we have a little guy, I'm now thinking more, "Hmmm, I wonder when he'll be able to play this? ", and I'm starting to appreciate the return to 2D gaming, and Kirby's Epic Yarn has me interested. Thanks for the feedback! I greatly appreciate it!